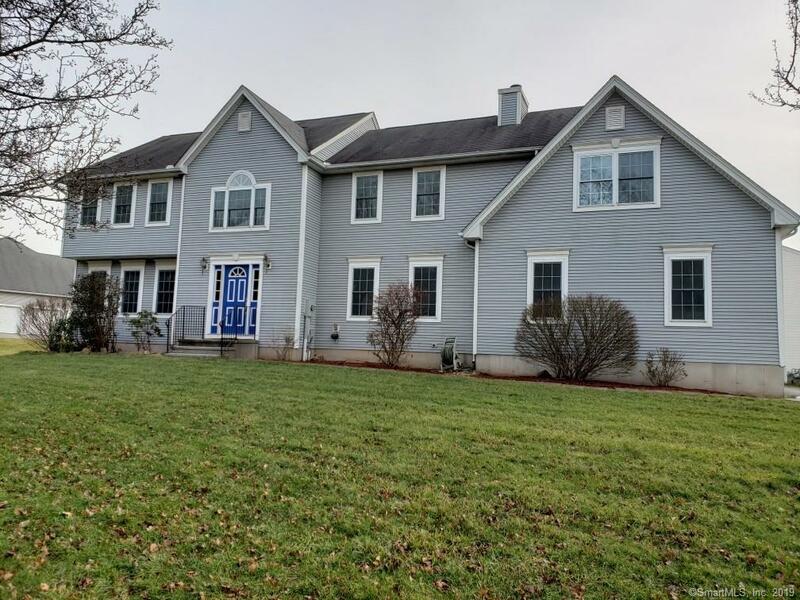 Spacious colonial with 3 bedrooms and 2.5 baths in sought after Wallingford neighborhood. The home boasts a grand family room with double height ceilings, fireplace, and sliders to an outdoor deck. Large eat in kitchen with center island, and eating area with great windows and natural light that overlook the deck and yard. Formal dining room is conveniently located off of kitchen, and great for entertaining and holidays. An additional formal living room, and half bathroom complete the first floor. The second floor offers three bedrooms with generous closets and two full baths. There is a large bonus room - perfect for a spacious home office, den, playroom, or 4th bedroom, and an additional open loft area. Second floor laundry is convenient to bedrooms. The home has central air, and 3 car attached garage. Excellent storage space in garage and full basement. This is a must see! Directions: Rt 68 To Dana Boulevard. First House On Left.